Happy December everyone! I am so excited that it’s finally December. This whole month for me is filled with love, joy, happiness, and laughter! 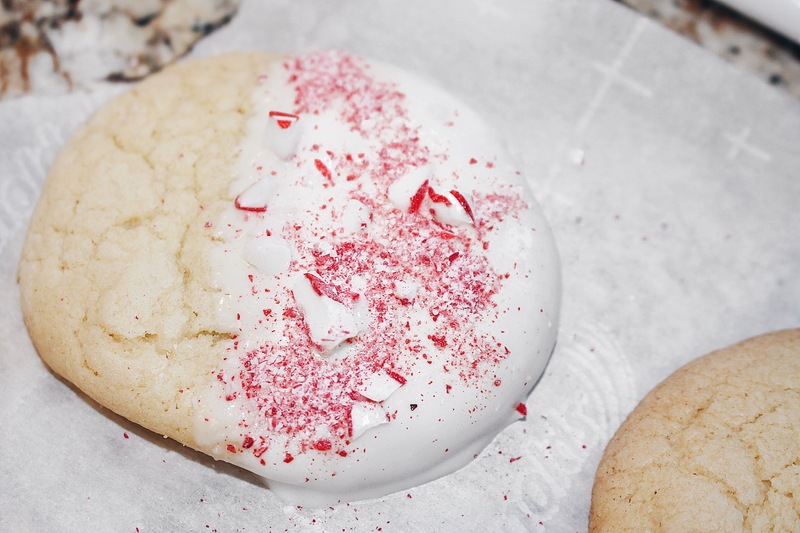 What’s better than to kick off this month with some festive cookies? Nothing, of course! 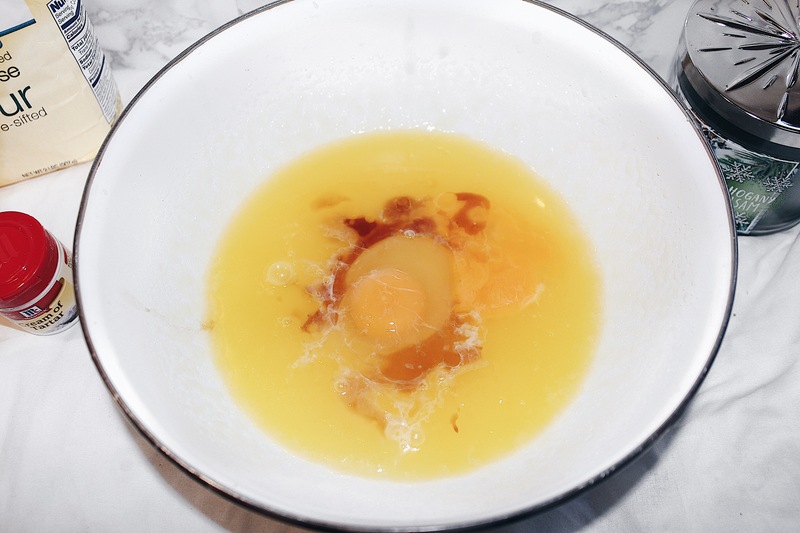 This recipe is super easy, quick, and delicious! 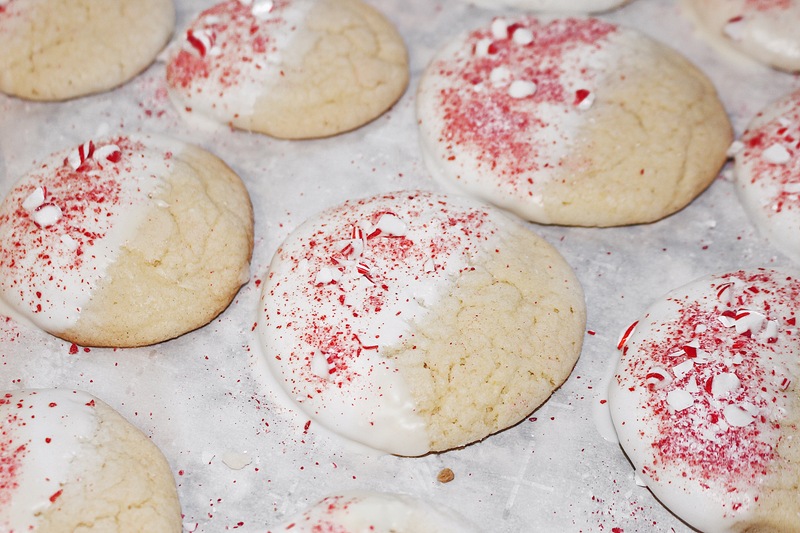 The perfect accessory to any holiday party, is cookies for dessert. 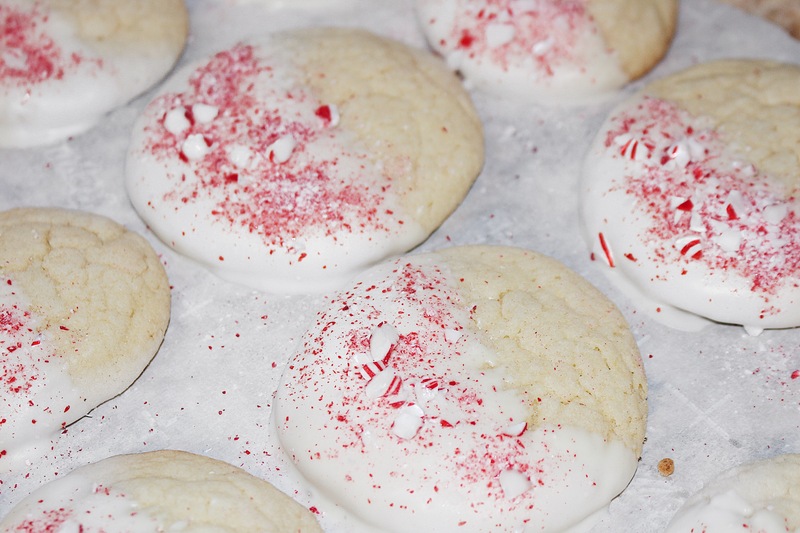 In this post, I’m going to be sharing this amazing Peppermint White Chocolate Sugar Cookie Recipe! 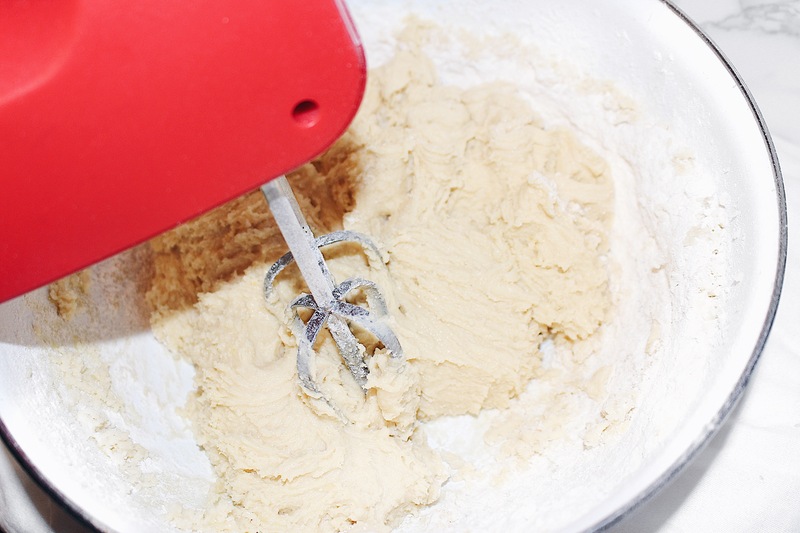 In a mixing bowl whisk together flour, baking soda, salt and cream of tartar. 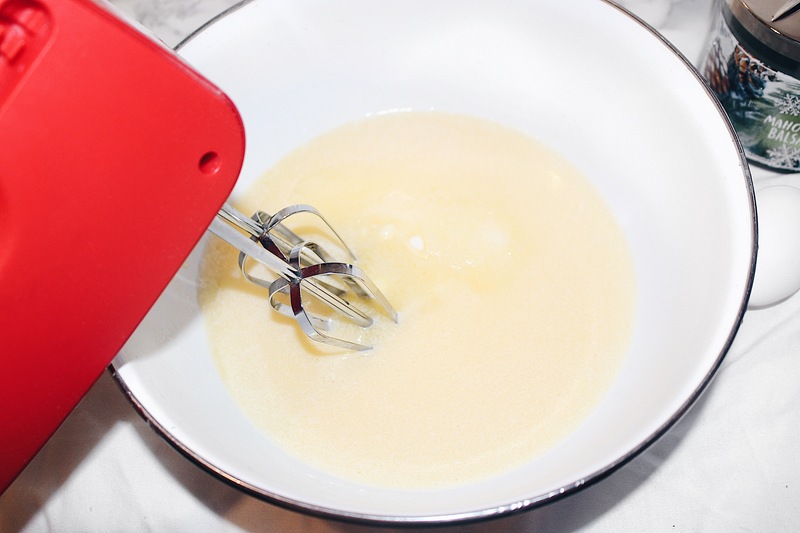 In another bowl, combine sugar and butter. 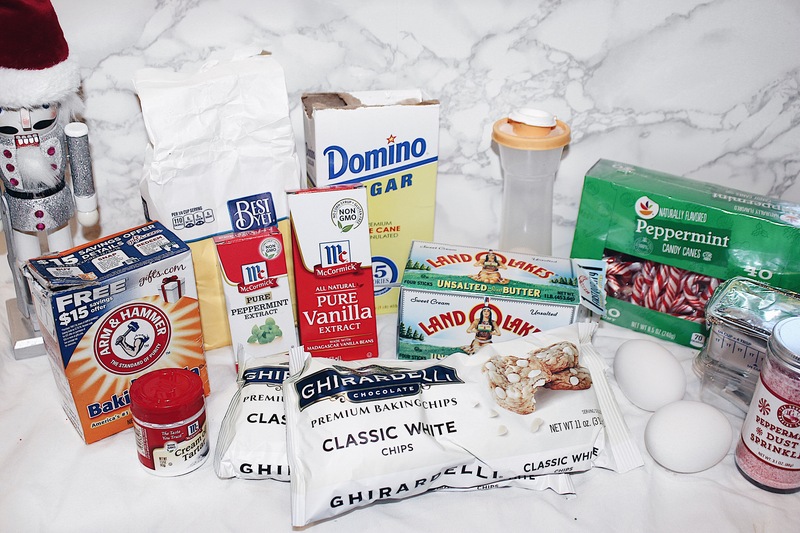 Mix in egg then mix in egg yolk, vanilla and peppermint extract. 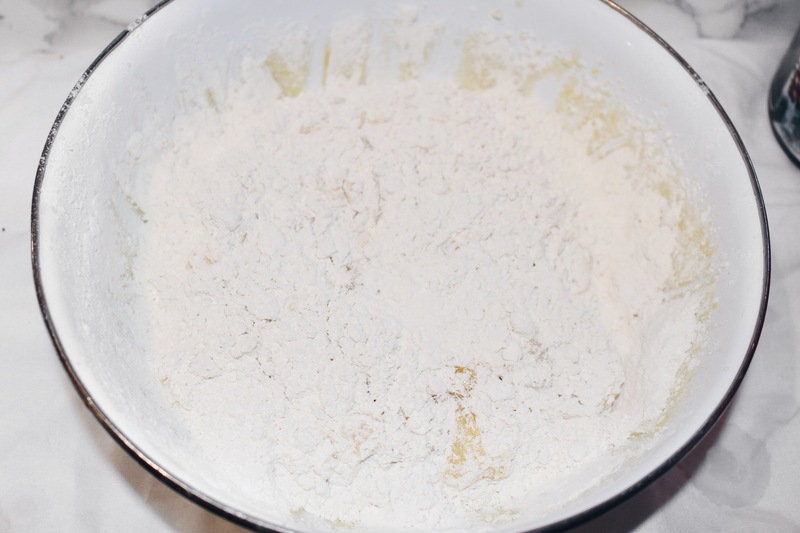 Slowly add in the dry ingredients and mix until combined (you may have to stop using the mixer and finish by hand, for the dough can become very thick). 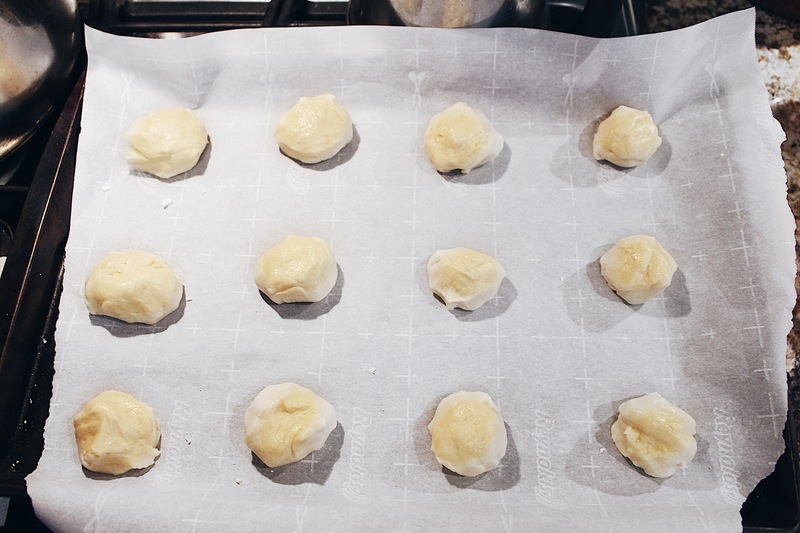 Scoop dough out and shape into balls (1/2 – 2″) then place onto cookie sheet lined with parchment paper (this is also something I never measure, I just eye it and if they come out to big it’s okay for me, the bigger the cookie the better). 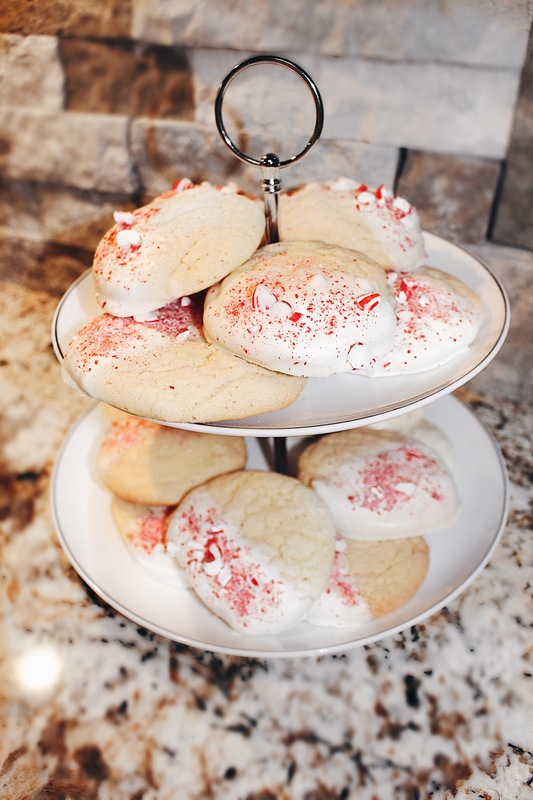 Bake in preheated oven 10 – 11 minutes (cookies should appear slightly under-baked). Remove from oven and allow to cool. 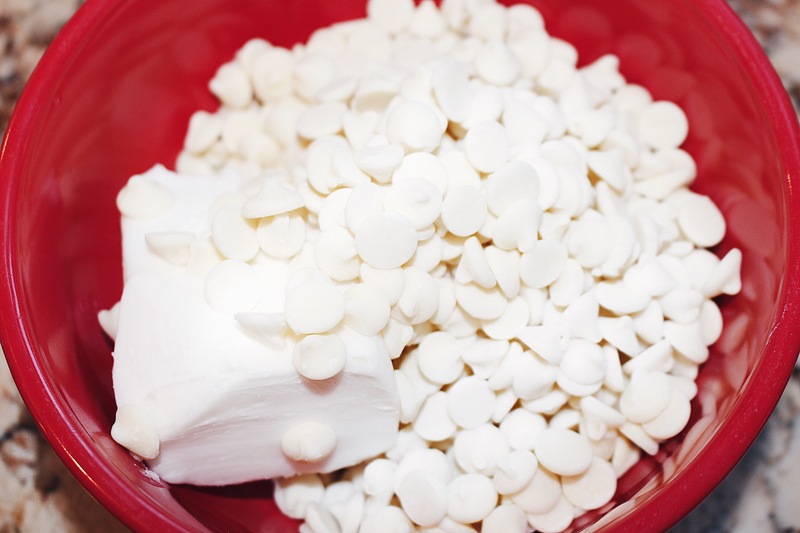 Place white chocolate chips and shortening in a medium microwave safe bowl and heat in microwave for 1 minute or so, until completely melted. 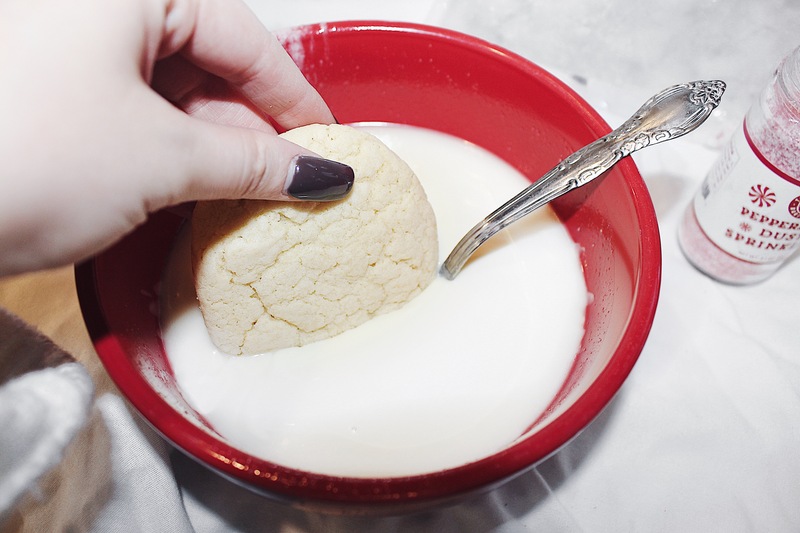 Dip one side of the cooled cookies halfway in the white chocolate. 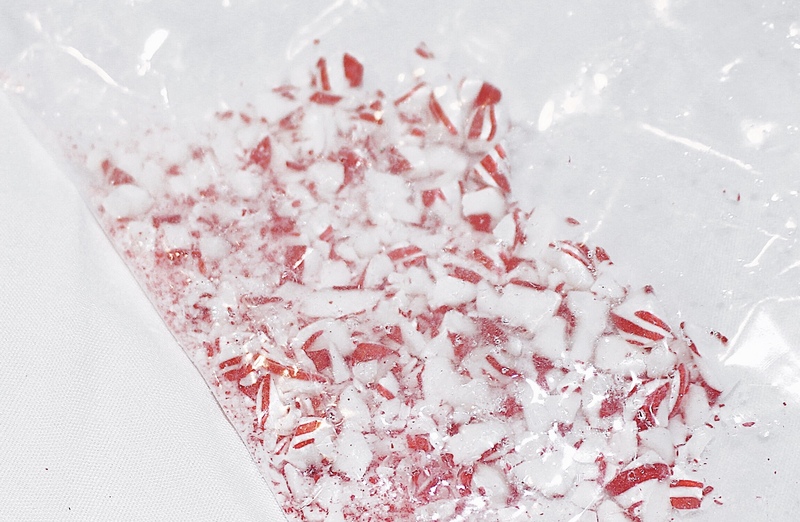 Then transfer back onto your cookie sheet lined with parchment paper and immediately sprinkle with peppermint bits (If using candy canes, you will have to break and smash them first). Let dry and completely cool before serving. 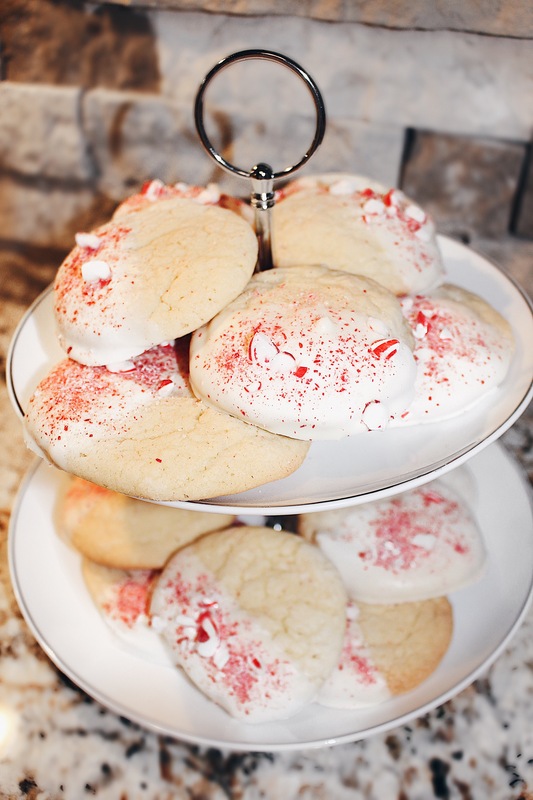 That’s all you have to do for these amazing Peppermint White Chocolate Sugar Cookies! 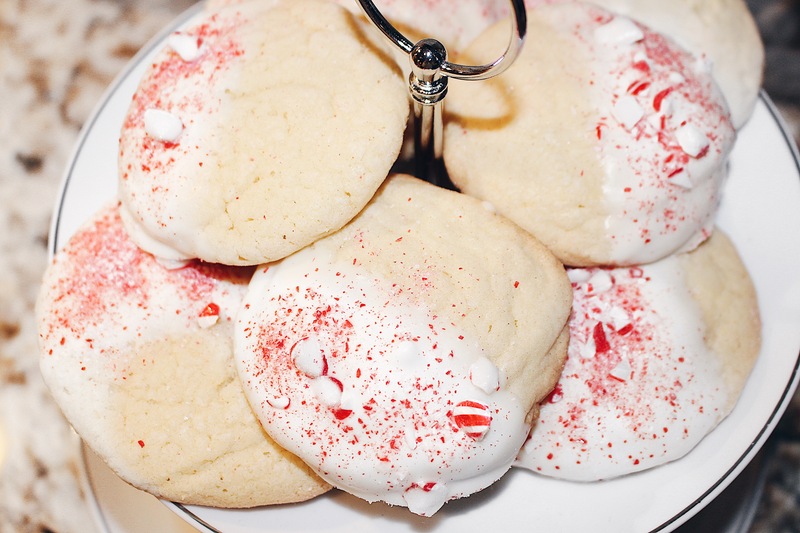 How cute and festive are these? They taste absolutely amazing too! 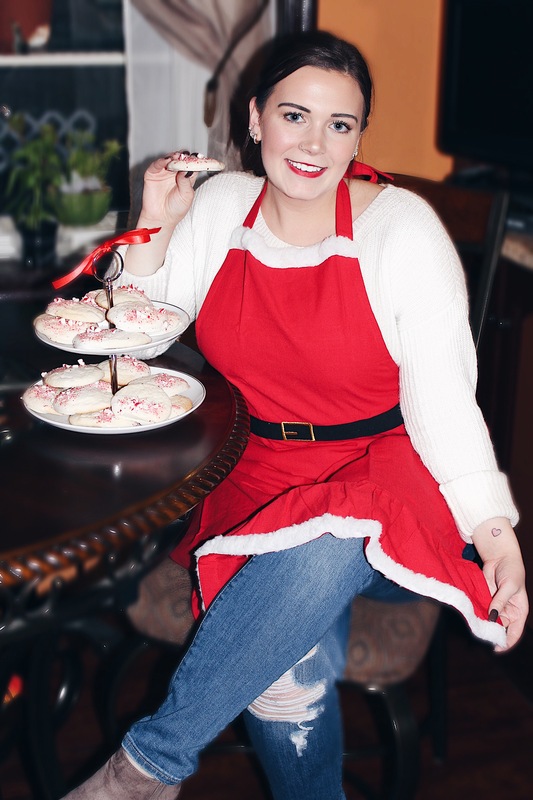 Now, you’ll be ready for that holiday party! I hope you all enjoyed this post! Thanks for reading & Happy Holidays! These look and sound amazing! Perfect for holiday entertaining. Love your apron too! Thank you! They’re so amazing! !